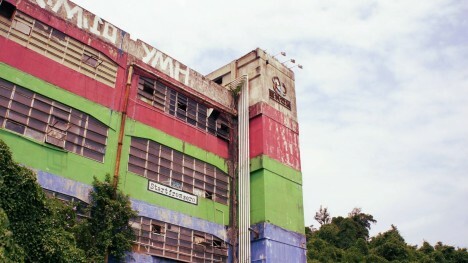 This abandoned Hong Kong TV station occupied a deserted factory in the New Territories until the early 2000s, when it meekly followed its predecessor into abandonment. 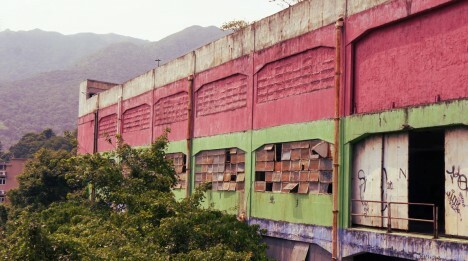 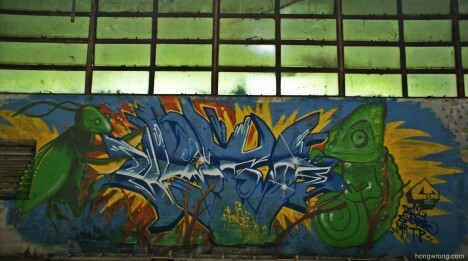 The former ATV station left little to trash or smash, so the most obvious attributes of its deserted status are a wealth of extremely colorful and expressive graffiti. 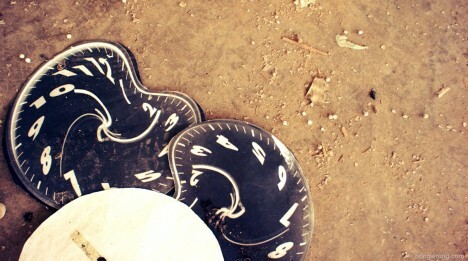 Yikes, what’s with those clocks? 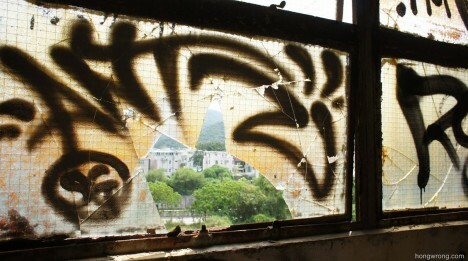 Anyway, according to the urban explorers at Hong Wrong there would appear to be an unwritten rule amongst graffiti artists that one must respect the work of another – honor among thieves, one might say. 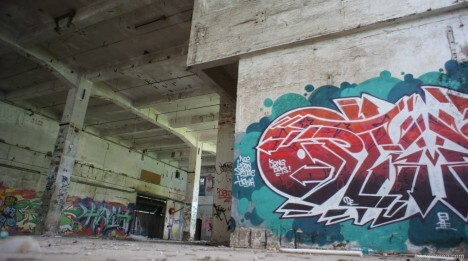 The immense size of the factory and the enormous expanses of interior wall space also ensure taggers will have plenty of room to say with spray for some time yet. 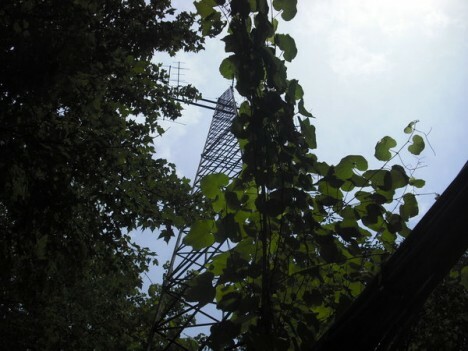 They’d best beware, however… rumor has it the building is haunted, perhaps by the ghosts of failed sitcoms past. 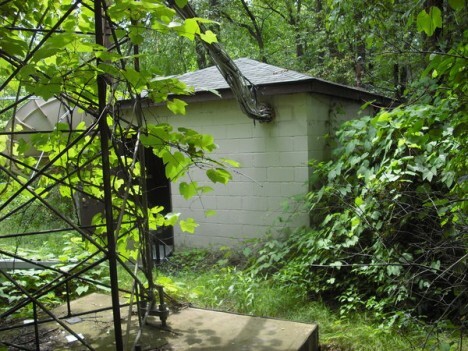 It’s not known what this abandoned TV station in Portage, PA’s call letters were nor when or even why it was abandoned but from all appearances it was hit by the same meteor that did in poor Jordy Verrill from Creepshow. 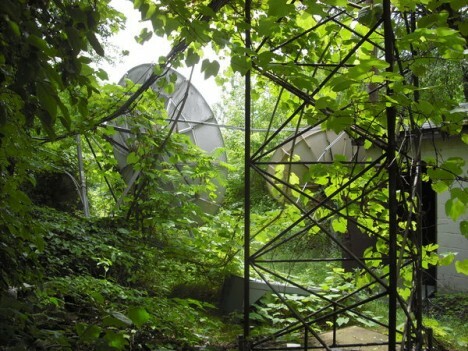 Credit DeviantArt-ist Mwellies-Tiger with the above photos of the recently (presumably, due to the satellite dishes) abandoned and anonymous former TV station.